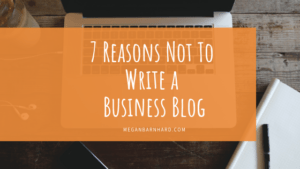 Some business owners have a hard time limiting themselves to a broad blog post topic. If that’s you, maybe you worry that you won’t sound like an expert unless you tell readers all the nitty-gritty details of your field. To make your blog interesting and helpful, you need a mix of broad and narrow topics. Sometimes you’ll dive into the details of one specific topic, and sometimes you’ll paint a big picture or give a broad overview. The key thing is not to try to do both at once. 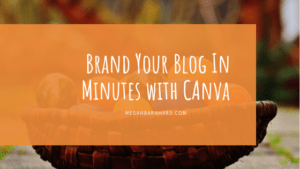 Your blog posts can either be broad and shallow, or they can be narrow and deep. But doing both at once will do more harm than good. Imagine you’re walking down the street on a hot, hot summer day. You would kill for a glass of cold water. You spot some kids opening the valve of a fire hydrant to cool off. As tempting as it might be to put your face over the rushing stream of water to quench your thirst, I bet you’d think twice. You’d realize that you’re less likely to have your thirst slaked than get your sunglasses broken and your hairdo undone by that powerful jet of water. When you let loose with all your knowledge at once, you spray your readers in the face with a fire hydrant of info. Just like the fire hydrant, you’ve got a massive supply of water, aka wisdom, stored below the surface. You might feel responsible for educating readers so they’re empowered to make better decisions — whether you’re a health coach or a home organizer. Great! Empower away! But think about the way we all take in and use new information: We need a little at a time so we can understand it, digest it, and then take action on it. Letting loose all your expertise at once tends to overwhelm people. They may even totally zone out if they hear too many new things at once. Your job as the expert is to curate the information you send out to your audience. To release it in the right amounts on your blog so readers get just what they need to quench their knowledge thirst. We all appreciate overviews of a subject. What’s it all about? What are the different topics and sub-sections we could dive into if we wanted to learn more? Think of a broad blog post like a TOC (that is, a Table of Contents). It’s a way to introduce people to a topic and show them the big picture of how all the ideas fit together. These kinds of posts work great when you want to put your industry or your business in context. Why do you do what you do? What’s the backstory? How do you do things differently? 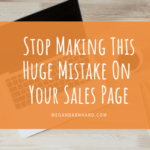 Pro Tip: Just like the TOC of a book on your Kindle, your broad blog posts can link to other posts on your site. This allows people to dive deeper into a topic as they’re ready to explore it more. Give readers a quick win by answering a question or providing an actionable step. Provide detailed steps, options, or examples so readers get the the picture. 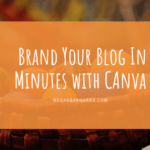 Break up your key content into multiple blog posts. Consider creating a series made up of 3 – 5 posts that each tackle a different stage in a process or a different solution to a single problem. Keeping the focus narrow makes your content really valuable to readers because you’re answering their question clearly and concisely. Try starting your narrow topic posts with a sentence or two of introduction to provide context. That way readers can get oriented in the big picture without having to hear all the backstory. Just like a Wikipedia page, your narrow blog posts can link to other content on your site. Pro Tip: Throw in a link to another narrow post that expands on one of the ideas you only mention in your current post. Or add a link to a broad post that offers the big picture. Go for broad blog post topics sometimes and narrow ones other times. 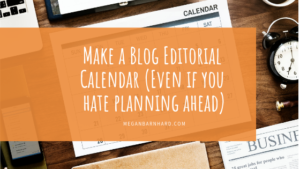 Use your editorial calendar to help you mix ‘n’ match so you offer a variety of content. 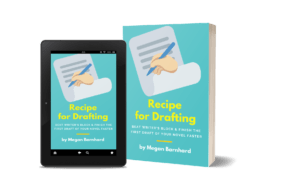 Whether you write broad or narrow, stay focused on one thing at a time so that all your knowledge and expertise get soaked up by thirsty readers — instead of pouring down the storm drain. Use links to help readers find related content that will help them even further. Bonus: Did you know the Google gods like it when you have internal links on your blog posts? 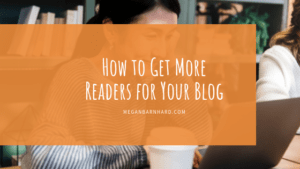 So, not only will those links to other blog posts help your readers, they’ll also help your SEO (search engine optimization). 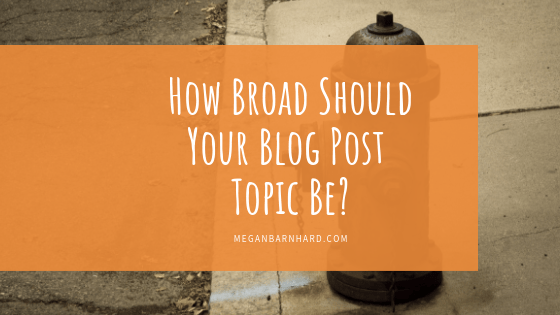 Do you tend to write broad or narrow blog posts? Where do you get stuck planning blog post topics? Let me know in the comments below!